Last Thursday a client attended our Multi Activity day in Banbury Oxon with 50 staff members who had no idea upon their arrival exactly what they would be asked to participate in! We had been worried about the weather as gales and heavy rain had swept the country earlier in the week so when I arrived to blue sky but with quite strong winds, I was a happy girl. Tractor driving this is harder than it looks as the tractor also has a trailer which you have to reverse through bollards. Needless to say, the women came out on top at the end! Dog Agility – 4 dogs were taken through their paces by the attendees as they had to direct the dogs to collect items with various commands. The highlight for most of us was actually the 6 week old puppy that also attended and attracted a lot of attention and cuddles! 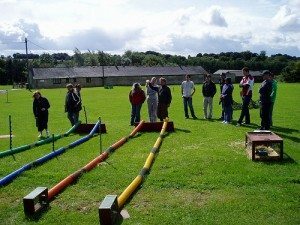 Ferret Racing – Super fun activity which is attached to the Dog agility section. Their tracks are tubes large enough for the ferrets to run down. The animals are placed in boxes at the start of the tubes and then upon the Go! 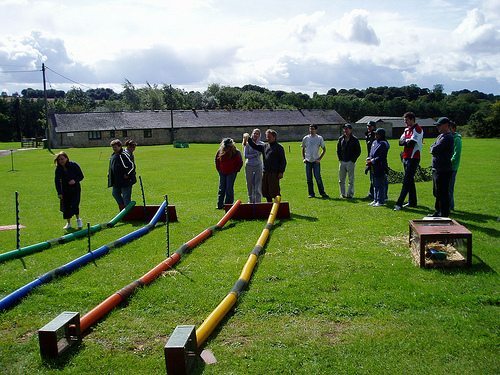 command, the boxes are opened and the ferrets are coaxed by their team down to the end of the tube where their prize of some special milk is awaiting. 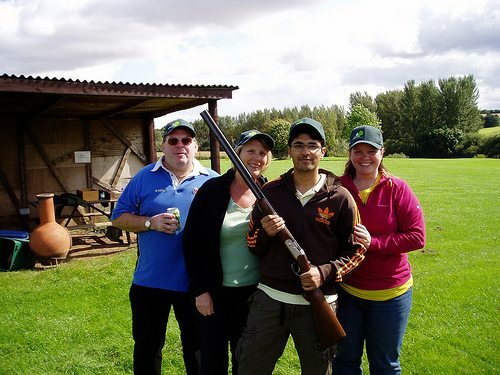 Clay Pigeon Shooting- the facility at Banbury is really well set-up for shooting and the instructors are very competent and patient for the beginners. 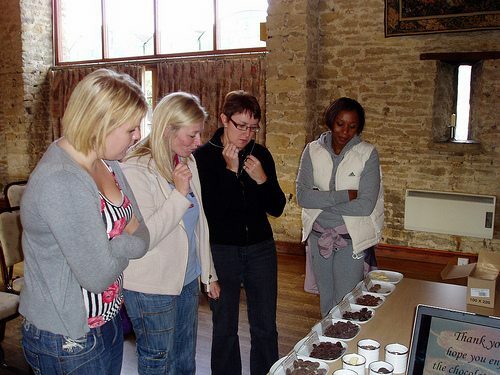 Yet again, I am proud to say that the women were extremely good at this activity and actually put the boys to shame! Chocolate Making – This was naturally the favourite activity attended with our chocolate expert Stefan giving a short presentation on the history of our beloved high calorie bars and then its hands on with truffle and chocolate sweet making. Of course all that is made can be taken home by each participant although I think most of it would have been devoured on the coach journey home. 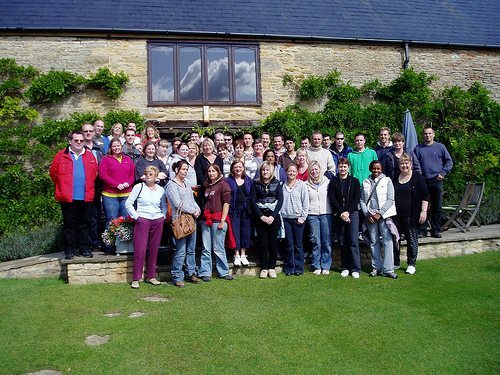 The weather stayed dry until the last hour when heavy rain fell upon us however the teams in true outdoor spirit continued regardless and were rewarded with a great BBQ (unfortunately held indoors!) at the end of their day. Once all the points have been totted up, the winning team enjoyed their champagne with immense satisfaction! Thanks to Caroline, Jerry and Stefan plus all the instructors who really make the day go so smoothly.